Discussion: This product is formulated using a two-stage, timed-release technology. 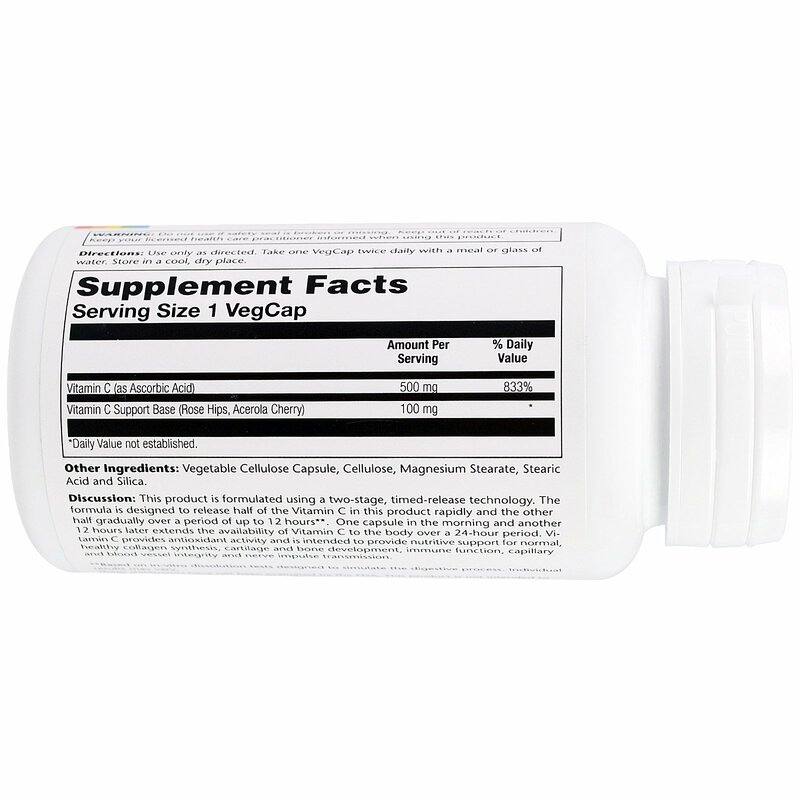 The formula is designed to release half of the Vitamin C in this product rapidly and the other half gradually over a period of up to 12 hours**. One capsule in the morning and another 12 hours later extends the availability of Vitamin C to the body over a 24-hour period. 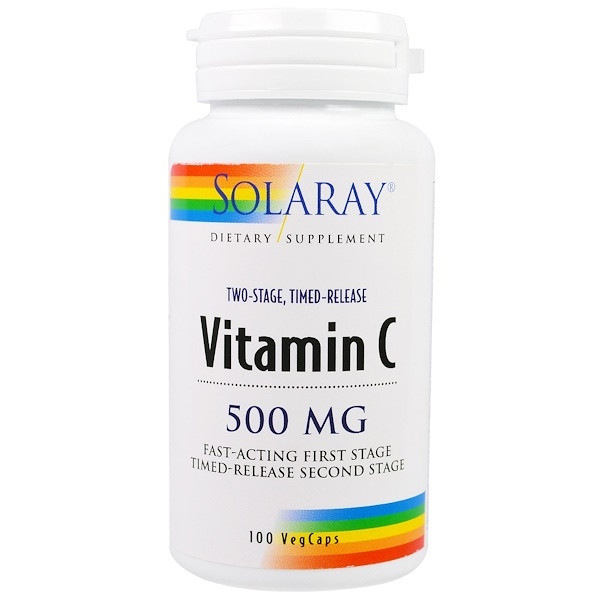 Vitamin C provides antioxidant activity and is intended to provide nutritive support for normal, healthy collagen synthesis, cartilage and bone development, immune function, capillary and blood vessel integrity and nerve impulse transmission.